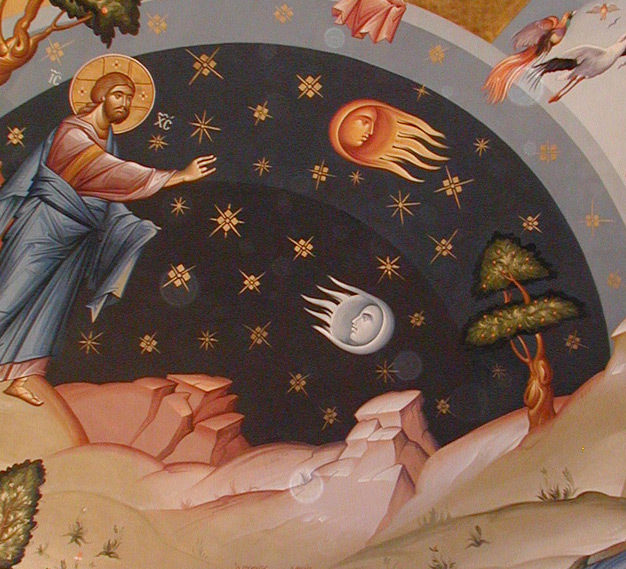 Why did the Spirit descend ten days after the Ascension of the Lord? Certain divine mystics were able to comprehend what occurred in the heavens between the Ascension of our Lord and Savior Jesus Christ and the Day of the Holy Spirit. 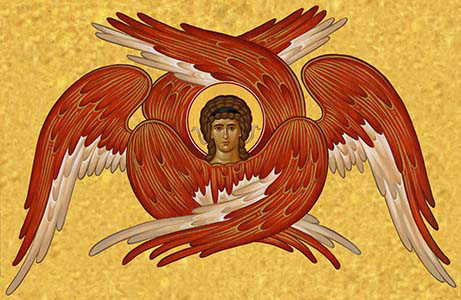 Therefore, nine days – the nine ranks of Angels and on the tenth day, the Descent of the Holy Spirit. 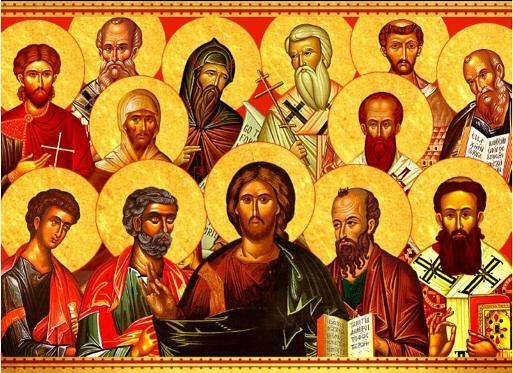 Finally, when blessed Mary, having completed the course of her earthly life, was about to be called from this world, all the Apostles, coming from their different regions, gathered together in her house. When they had heard that she was about to be taken up out of the world, they kept watch together with her. And behold, the glorious and wonderful arrival of Christ her God and Son took place, and there were with Him innumerable hosts of angels and archangels and other hosts of seraphim and cherubim and thrones: they all stood with awe before the Lord, for wherever the King is, the host also accompany Him. 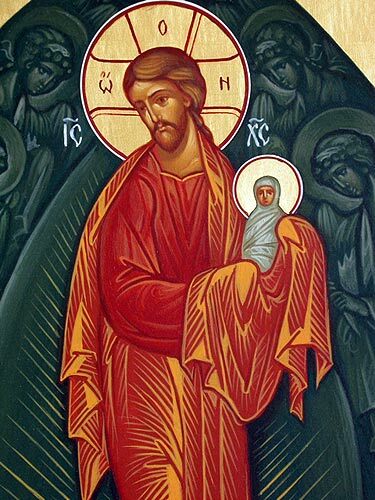 As she escaped the pains of childbirth in the ineffable Nativity, so the pains of death did not come upon her at the time of her Dormition, for both then and now the King and Lord of natures altered the course of nature. Then the host of angels invisibly applauded the send-off of her holy soul. The house and the surrounding area were filled by a waft of indescribable perfume, and unapproachable light (cf. 1 Tim. 6:16) spread forth over the holy body. And in this way the master and the disciples, and heaven and earth led forth the Holy Virgin: the gracious and glorious Lord and master led away the holy soul of His immacualte mother to heaven; the disciples took care of her immacualte body on earth, anointing it with myrrh and tending to the things that she had planned. And after a little while, her Son and God wished to translate the body to Paradise or somewhere. 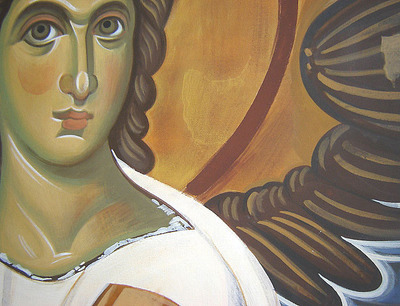 The Holy Apostles encircled the bed on which the Holy Theotokos’ body, wider than the heaven. They honored it with hymsn and praise; they embraced it with fear and trembling. They not only showed faith and devotion but were also gratified to receive grace and great benefit, and the work of faith had only just began. 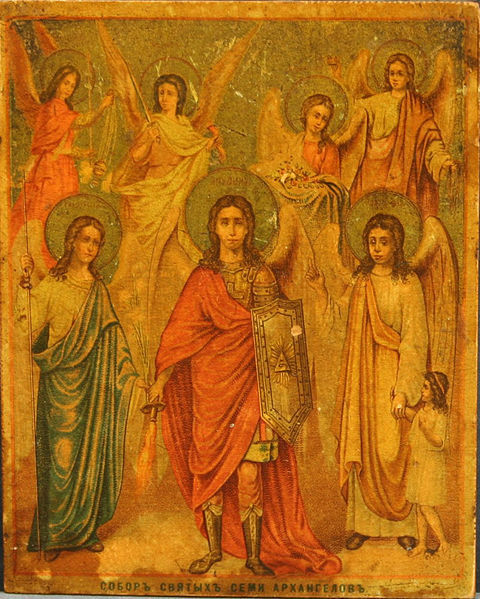 Angels with Archangels bear thee up. Impure spirits trembled at thy departure. The air raises a hymn of praise at thy passage, and the atmosphere is purified. Heaven receives thy soul with joy. 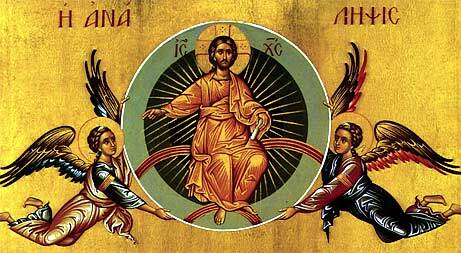 The heavenly powers greet thee with sacred canticles and with joyous praise, saying : “Who is this most pure creature ascending, shining as the dawn, beautiful as the moon, conspicuous as the sun? How sweet and lovely thou art, the lily of the field, the rose among thorns; therefore the young maidens loved thee. We are drawn after the odour of thy ointments. The King introduced thee into His chamber. 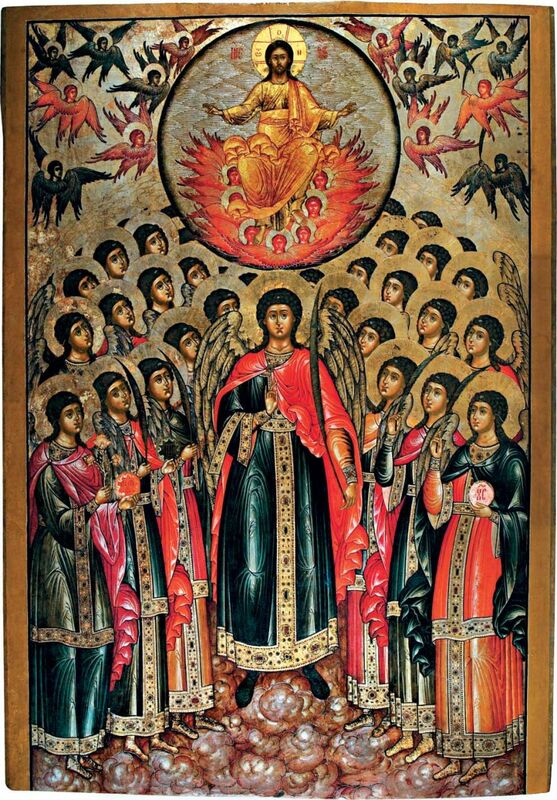 There Powers protect thee, Principalities praise thee, Thrones proclaim thee, Cherubim are hushed in joy, and Seraphim magnify the true Mother by nature and by grace of their very Lord. 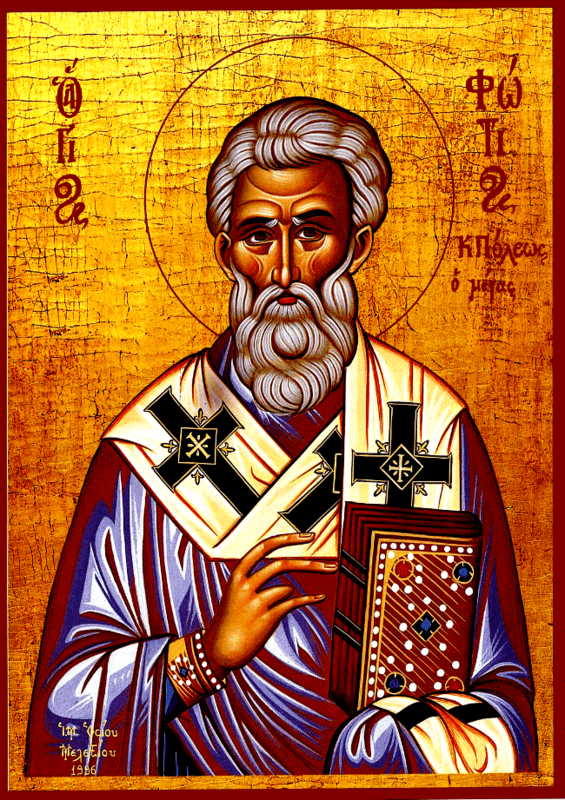 Thou wert not taken into heaven as Elias was, nor didst thou penetrate to the third heaven with Paul, but thou didst reach the royal throne itself of thy Son, seeing it with thy own eyes, standing by it in joy and unspeakable familiarity. O gladness of angels and of all heavenly powers, sweetness of patriarchs and of the just, perpetual exultation of prophets, rejoicing the world and sanctifying all things, refreshment of the weary, comfort of the sorrowful, remission of sins, health of the sick, harbour of the storm-tossed, lasting strength of mourners, and perpetual succour of all who invoke thee…Thy pure and spotless body was not left in the earth, but the abode of the Queen, of God’s true Mother, was fixed in the heavenly kingdom alone. How can death claim as its prey this truly blessed one, who listened to God’s word in humility, and was filled with the Spirit, conceiving the Father’s gift through the archangel, bearing without concupiscence or the co-operation of man the Person of the Divine Word, who fills all things, bringing Him forth, without the pains of childbirth, being wholly united to God? How could Limbo open its gates to her ? How could corruption touch the life-giving body ? These are things quite foreign to the soul and body of God’s Mother. Death trembled before her. In approaching her Son, death had learnt experience from His sufferings, and had grown wiser. The gloomy descent to hell was not for her, but a joyous, easy, and sweet passage to heaven. 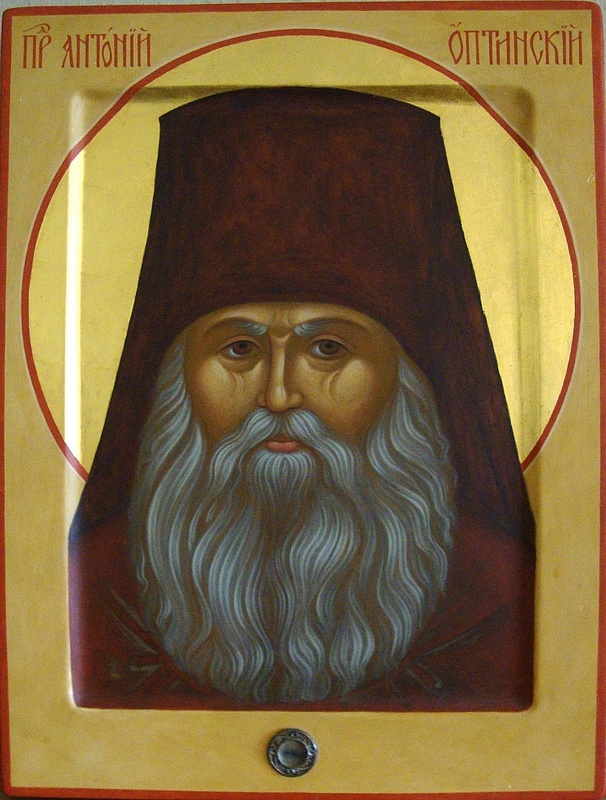 St. John of Karpathos ca. 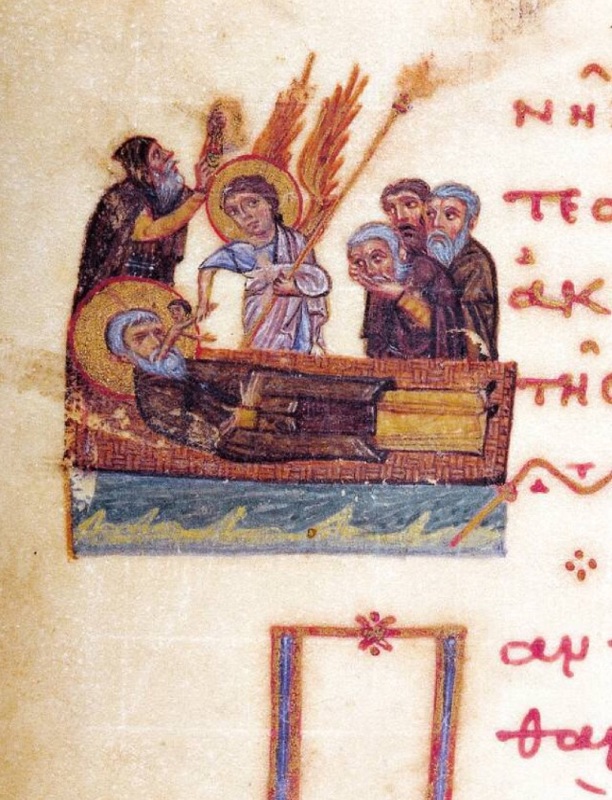 7th cent. God knows Himself and the things created by Him. The holy angels also know God and they know, too, the things created by Him. But the holy angels do not know God and the things created by him as God knows himself and the things created by Him. LXX Deut. 33:2 And he said, The Lord has come from Sinai, and has appeared from Seir to us, and has shone forth from Mount Paran, with the ten thousands of Kadesh; on His right hand were His angels with Him. Acts 7:52-53 Which of the prophets did your fathers not persecute? And they killed those who announced beforehand the coming of the Righteous One, whom you have now betrayed and murdered, you who received the law as delivered by angels and did not keep it. Heb 2:2-3 For since the message declared by angels proved to be reliable, and every transgression or disobedience received a just retribution, how shall we escape if we neglect such a great salvation? 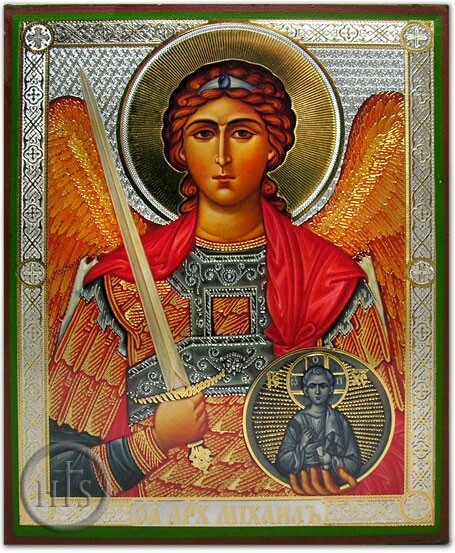 When I was preparing myself for my marriage with the Son of the King and the firstborn of every creature, the holy angels followed me and ministered to me, bringing me the Law as a wedding present. Indeed it has been said that the Law was promulgated through the angels by means of mediator. But, since the world was already nearing its end and still His presence was not granted me, and I only saw His servants rising and descending about me, I poured out my prayer to you, the Father of my Bridegroom, begging you to have pity on my love and send Him to me so that He need no longer speak with me through His servants the angels but might come Himself. 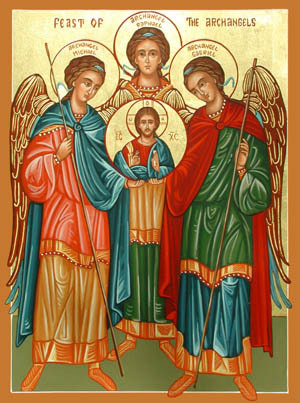 We propose to show how the holy angels who, before the coming of Christ, watched over the bride while she was still young are the friends and companions of the Bridegroom mentioned here… In fact, it seems to me that the Law which was promulgated through the agency of a mediator did indeed contain a foreshadowing of the good things that were to come, but not their actual likeness; and that the events set down in the Law and enacted in figure, although not in reality, are merely imitations of gold, not real gold. These burning torches, these dazzling fires, these rumbling thunders, this terror that accompanies the entire coming of the Lord — all manifest the presence of the angelic ministers, setting down the Law through the hand of a mediator. Gal. 3:19 And it was ordained through Angels by the hand of a Mediator. 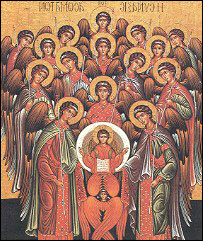 He either calls the priests Angels, or he declares that the Angels themselves ministered to the delivery of the Law. 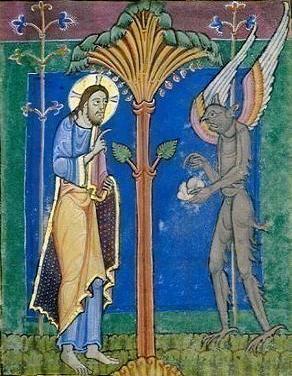 By Mediator here he means Christ, and shows that He was before it, and Himself the Giver of it. 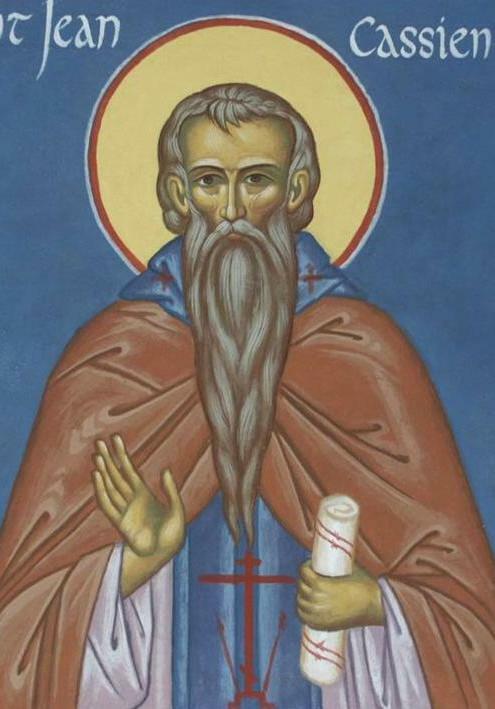 And so it has pleased Divine Providence, as I have said, and as we read in the Acts of the Apostles, Acts 7:53 that the law enjoining the worship of one God should be given by the disposition of angels. 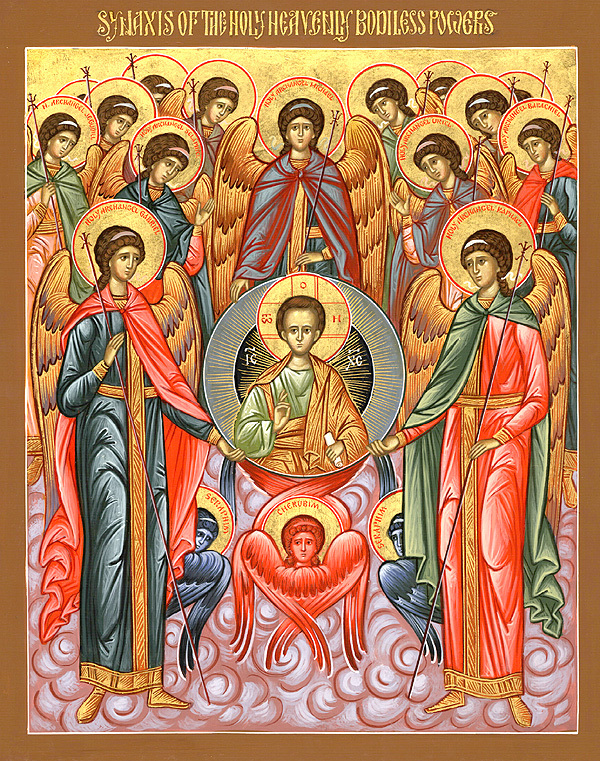 Wherefore, beyond all, they are deemed pre-eminently worthy of the appellation Angelic, on the ground that the supremely Divine illumination comes to them at first hand, and, through them, there pass to us manifestations above us. 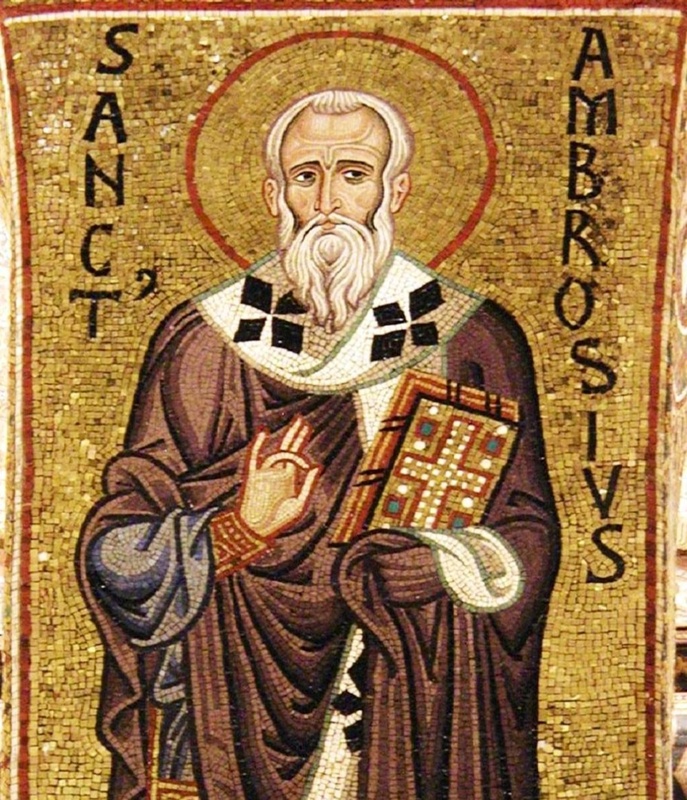 Thus, then, the Law, as the Word of God affirms, was given to us through the ministration of Angels; and Angels led our illustrious fathers before the Law, and after the Law, to the Divine Being, either by leading them to what was to be done, and by converting them from error, and an unholy life, to the straight way of truth, or by making known to them sacred ordinances, or hidden visions, or supermundane mysteries, or certain Divine predictions through the Prophets. He is Himself the Maker and Creator of the angels: for He brought them out of nothing into being and created them after His own image, an incorporeal race, a sort of spirit or immaterial fire: in the words of the divine David, He makes His angels spirits, and His ministers a flame of fire : and He has described their lightness and the ardour, and heat, and keenness and sharpness with which they hunger for God and serve Him, and how they are borne to the regions above and are quite delivered from all material thought. It is immortal, not by nature but by grace. For all that has had beginning comes also to its natural end. But God alone is eternal, or rather, He is above the Eternal: for He, the Creator of times, is not under the dominion of time, but above time. 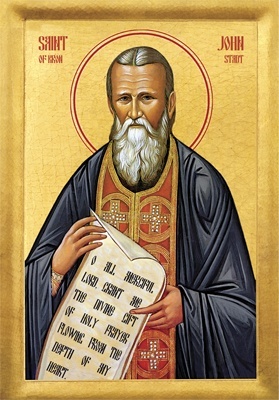 Further, apart from their essence they receive the sanctification from the Spirit: through the divine grace they prophesy : they have no need of marriage for they are immortal. Seeing that they are minds they are in mental places , and are not circumscribed after the fashion of a body. For they have not a bodily form by nature, nor are they extended in three dimensions. But to whatever post they may be assigned, there they are present after the manner of a mind and energise, and cannot be present and energise in various places at the same time. Whether they are equals in essence or differ from one another we know not. 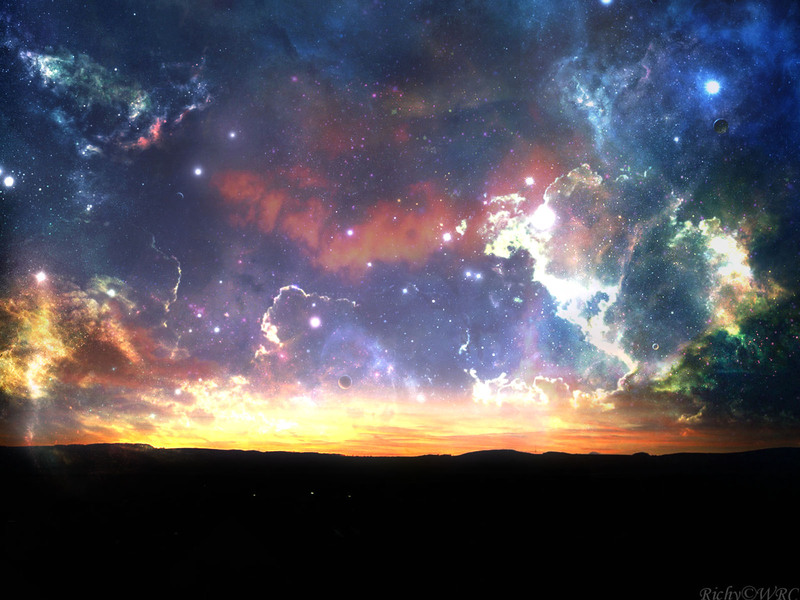 God, their Creator, Who knows all things, alone knows. But they differ from each other in brightness and position, whether it is that their position is dependent on their brightness, or their brightness on their position: and they impart brightness to one another, because they excel one another in rank and nature. And clearly the higher share their brightness and knowledge with the lower. 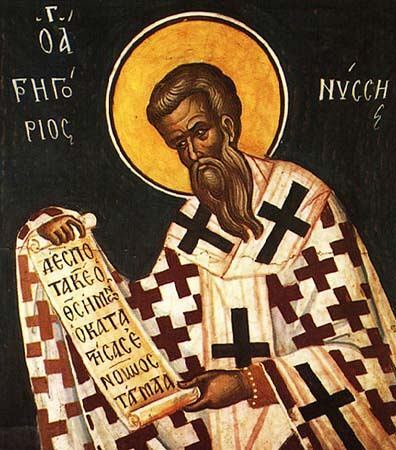 Moreover, as that most holy, and sacred, and gifted theologian, Dionysius the Areopagite , says, All theology, that is to say, the holy Scripture, has nine different names for the heavenly essences. These essences that divine master in sacred things divides into three groups, each containing three. 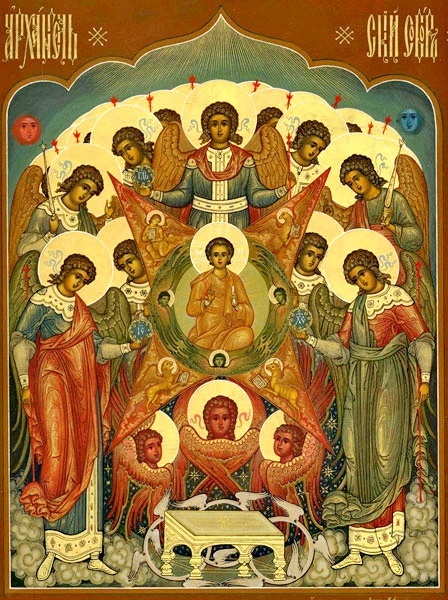 And the first group, he says, consists of those who are in God’s presence and are said to be directly and immediately one with Him, viz., the Seraphim with their six wings, the many-eyed Cherubim and those that sit in the holiest thrones. 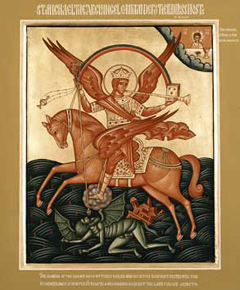 The second group is that of the Dominions, and the Powers, and the Authorities; and the third, and last, is that of the Rulers and Archangels and Angels. Some, indeed , like Gregory the Theologian, say that these were before the creation of other things. He thinks that the angelic and heavenly powers were first and that thought was their function. Others, again, hold that they were created after the first heaven was made. But all are agreed that it was before the foundation of man. For myself, I am in harmony with the theologian. For it was fitting that the mental essence should be the first created, and then that which can be perceived, and finally man himself, in whose being both parts are united. The earth is the Lord’s, and the fullness thereof; the world, and all that dwell therein. He has rounded it upon the seas, and prepared it upon the floods. Who shall ascend into the hill of the Lord? Or who shall stand in His holy place? He that is clean of hands and pure of heart: who has not received his soul in vain, and has not sworn guilefully to his neighbour: he shall receive blessing from the Lord, and mercy from God his Saviour. This is the generation of them that seek the Lord, that seek the face of the God of Jacob. Lift up your gates, you rulers; and be lifted up, you everlasting doors; and the King of glory shall come in. Who is this King of glory? The Lord strong and mighty in battle. Lift up your gates, you rulers; and be lifted up, you everlasting doors; and the King of glory shall come in. Who is this King of glory? The Lord of hosts, He is the King of glory. Who is this King of glory? Mortal nature is awe-struck in wonder, and asks, Who is this King of glory? The Lord strong and mighty. He whom you deemed weak and overwhelmed. The Lord mighty in battle Ps. 23:8. Handle the scars, and you will find them made whole, and human weakness restored to immortality. The glorifying of the Lord, which was owing to earth, where It warred with death, has been paid. Take away your gates, you princes. Let us go hence straightway into heaven. Again, let the Prophet’s trumpet cry aloud, Take away too, you princes of the air, the gates, which you have in the minds of men who ‘worship the host of heaven.’ 2 Kgs. 17:16 And be lifted up, you everlasting gates. And be lifted up, you doors of everlasting righteousness, of love, and chastity, through which the soul loves the One True God, and goes not a-whoring with the many that are called gods. And the King of glory shall come in Ps. 23:9. And the King of glory shall come in, that He may at the right hand of the Father intercede for us. 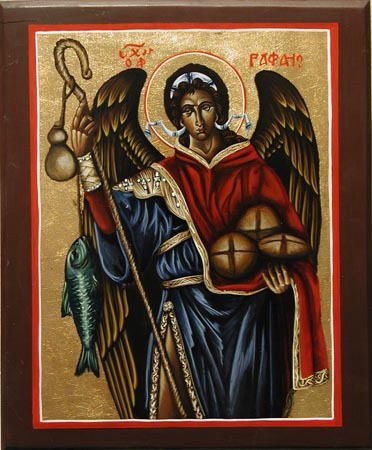 Tob 12:12, 15 When thou didst pray with tears, and didst bury the dead, and didst leave thy dinner, and hide the dead by day in thy house, and bury them by night, I offered thy prayer to the Lord…For I am the angel Raphael, one of the seven, who stand before the Lord. 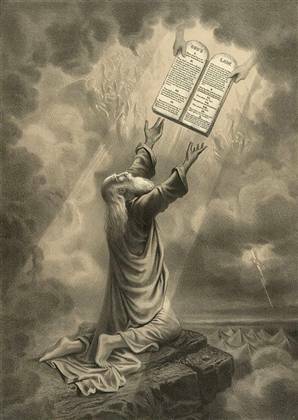 Psa 141:2 Let my prayer be set forth before You as incense; the lifting up of my hands as an evening sacrifice. Heb. 1:14 Are they not all ministering (Grk. λειτουργικὰ: liturgical) spirits sent out to serve for the sake of those who are to inherit salvation? 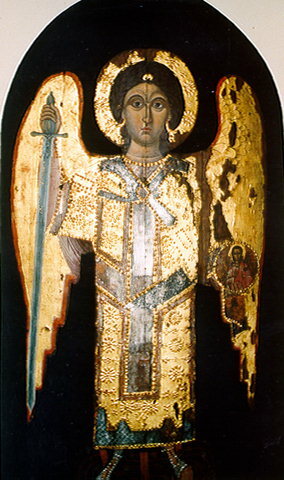 Rev 8:3-4 And another angel came and stood at the altar with a golden censer, and he was given much incense to offer with the prayers of all the saints on the golden altar before the throne, and the smoke of the incense, with the prayers of the saints, rose before God from the hand of the angel. Heb 2:16-17 For surely it is not angels that He helps, but he helps the offspring of Abraham. Therefore he had to be made like his brothers in every respect, so that he might become a merciful and faithful high priest in the service of God, to make propitiation for the sins of the people. 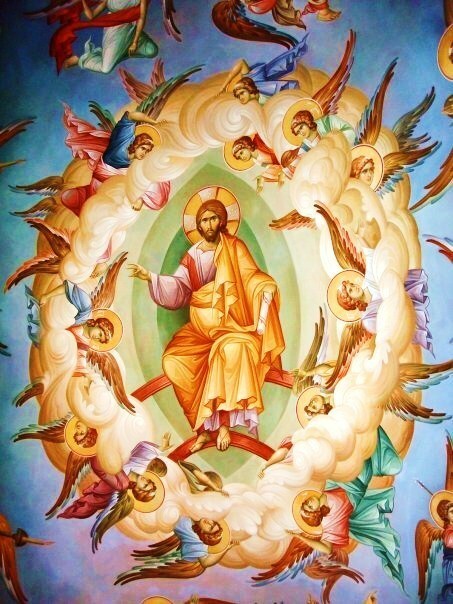 And therefore [the angels] descrying the approach of the Lord of all, first and only Vanquisher of Death, bade their princes that the gates should be lifted up, saying inadoration, Lift up the gates, such as are princes among you, and be lifted up, O everlasting doors, and the King of glory shall come in. 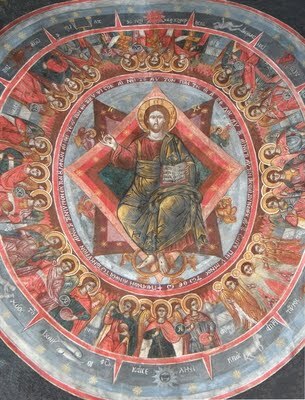 Yet there were still, even among the hosts of heaven, some that were amazed, overcome with astonishment at such pomp and glory as they had never yet beheld, and therefore they asked: Who is the King of glory? Howbeit, seeing that the angels (as well as ourselves) acquire theirknowledge step by step, and are capable of advancement, they certainly must display differences of power and understanding, for God alone is above and beyond the limits imposed by gradual advance, possessing, as He does, every perfection from everlasting. Others, again—those, to wit, who had been present at His rising again, those who had seen or who already recognized Him—made reply: It is the Lord, strong and mighty, the Lord mighty in battle. Then, again, sang the multitude of angels, in triumphal chorus: Lift up the gates, O you that are their princes, and be lifted up, you everlasting doors, and the King of glory shall come in. And back again came the challenge of them that stood astonished: Who is that King of glory? For we saw Him having neither form nor comelines; Isa. 53:2 if then it be not He, who is that King of glory? Whereto answer they which know: The Lord of Hosts, He is the King of glory. Therefore, the Lord of Hosts, He is the Son. How then do the Arians call Him fallible, Whom we believe to be Lord of Hosts, even as we believe of the Father? Luk 15:4 What man of you, having a hundred sheep, if he has lost one of them, does not leave the ninety-nine in the open country, and go after the one that is lost, until he finds it? He sought therefore that which was lost: and, to show that the Jewish fault-finding on this account was vain, He says unto them, “What man of you having a hundred sheep, and having lost one of them, does not leave the ninety and nine in the wilderness, and go to seek that which is lost. 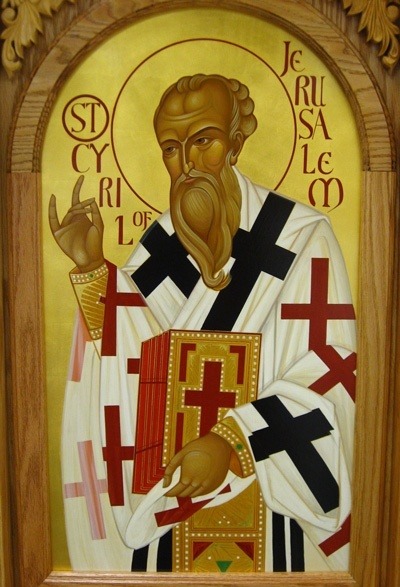 And if it chance to be found, he rejoices in it, He says, more than in those that went not astray.” Understand from this, my beloved, the wide extent of the Saviour’s kingdom, and the multitude past numbering of His subjects, and the skilful plan of the dispensation towards us. For the sheep, He says, are a hundred, so making the number of His subjects mount up to a multitude complete and altogether perfect. For constantly, so to speak, a hundred is a perfect number, being composed of ten times ten. And we have learnt also from the divinely-inspired Scripture, that a “thousand thousands minister to God, and ten thousand times ten thousand stand around His lofty throne.” The sheep therefore are a hundred: and of them one has gone astray, even the family upon earth; which also the chief Shepherd of all sought, having left in the wilderness those ninety and nine. Was it therefore because He had no regard for the many, that mercy was shown to the one only? No! not because He had no regard for them; that were impossible: but because they are in security, guarded by His Almighty hand. It was right therefore that mercy should rather be shown to that which was lost, that evidently nothing might be wanting to that other multitude, but the one being restored thereto, the hundred might regain its beauty. 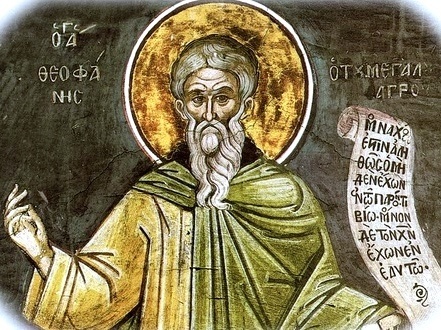 The simple and yet “manifold wisdom” (Eph. 3:10) clothes the naked and speaks of how they are accoutred. 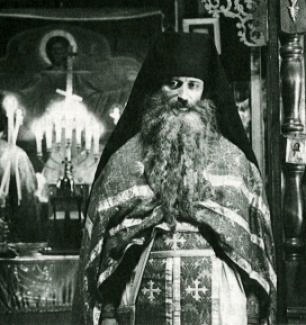 So I must therefore try to offer an explication of the sacred vestments and the sacred instruments attributed to the intelligent beings of heaven. I think that the shining and fiery robe (Rv. 9:17, 15:6) symbolizes the divine form. And the power to illuminate is a consequence of the inheritance of heaven which is the abode of light. It makes all things enlightened in the mind and is enlightened in the mind. The priestly vestment (Ezek. 9:2, 10:6-8) signifes the capacity to guide spiritually to the divine and mysterious sights, and to consecrate one’s whole life. And cinctures (Ezek. 9:2 LXX) are an indication of the control exercised by these intelligent beings over their generative powers. They signify also their practice of gathering together, their unifying absorption, the harmonious ease with which they tirelessly circle about their own identity. 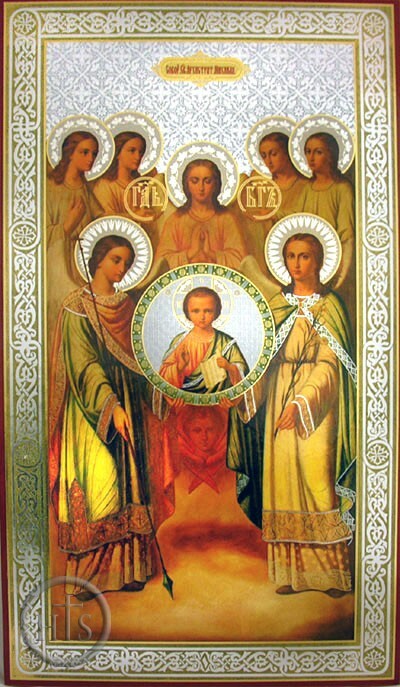 The sceptres (Jgs. 6:21) designate royal power and sovereignty with which they guide the achievement of everything. The spears and the axes (Ezek. 9:2) represent their discriminating skills amid the unlikeness of things, the sharp clarity and efficacy of their powers of discernment. The geometric and architectural equipment (Ezek. 40:3, Am. 7:7, Zec. 2:1 LXX, Rv. 21:15) has to do with their activity in founding, building, and bringing to completion, in fact they have to do with everything connected with the providence which uplifts and returns their subordinates. Occasionally the depicted instruments (Rev. 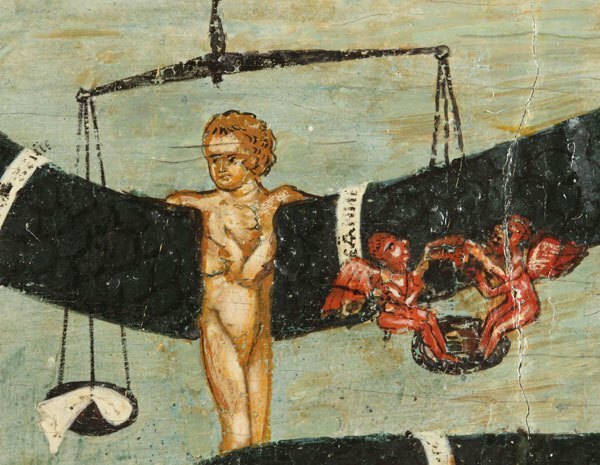 8:6, 14:14-17, 20:1) of the holy angels symbolize the judgments of God regarding us, some representing correcting discipline or punishing righteousness, some pointing to freedom of danger, the completion of discipline, the return to earlier felicity, or else the grant of new gifts great and small, gifts which can be seen or which are of intellect. To sum up, a discerning mind would not be hard put to find a correlation between visible signs and invisible reality. The Word of God represents them also as clouds. (Ezek. 1:4, 10:3, Rev. 10:1) This is to show that the holy and intelligent beings are filled in a trancendent way with hidden light. Directly and without arrogance they have been first to receive this light, and as intermediaries, they have generously passed it on so far as possible to those next to them. They have a generative power, a life-giving power, a power to give increase and completion, for they rain understanding down and they summon the breast which receives them to give birth to a living tide. The Word of God furthermore attributes to the heavenly beings the form of bronze, of electrum, of multicolored stones, and if it does so the reason lies in the fact that electrum, which contains gold and silver, symbolizes both the incorruptible, priceless, unfailing, and unpolluted radiance of gold as well a the gleam, the gloss, the splendor, and the heavenly glow of silver. As for bronze it recalls either fire or gold, for the reasons given. With regard to multicolored stones (Rev. 4:3, 21:19-21), these must be taken to work symbolically as follows: white for light, red for fire, yellow for gold, green for youthful vanity. I feel we should now move on to the sacred explication of those animal figures attributed by Scripture to the intelligent beings of heaven. Consider the form of the lion. (Ezek. 1:10, 10:14, Rev. 4:7, 10:3) It must be taken as revealing their powerful indomitable command. And the heavenly beings approximate as much as they can the hiddenness of the unspeakable Deity, by covering the tracks of their own intellects. Humbly and mysteriously they draw a veil over the upward journey of divine enlightenment. The figure of the ox (Ezek. 1:10, Rev. 4:7) is a token of strength and might, of the capacity to plough deeply the furrows of knowledge on which the fertile rains of heaven will fall. The horns are the mark of the power to guard and be invincible. The eagle (Ex. 19:4?, Ezek. 1:10, 10:14, Dn. 7:4, Rev. 4:7) tells of regal might, of the thrust to the pinnacle, of the speeding wing, of the agility, readiness, speed, and cunning to lacte nourishing food, of contemplation which is freely, directly, and unswervingly turned in stout elevations of the optical powers toward those generously abundant rays of the divine sunshine. Horses (2 Kgs. 2:11, 6:17, Zec. 1:8-10, 6:1-5, Rev. 6:1-8, 19:14) mean obedience and docility. Their whiteness is the gleam of their kinship with the light of God; their blue color is the sign of hiddenness, the red is the power and sweep of fire; the piebald is the alliance of opposite extremes, and the capacity to move from one to the other, that adaptability of superior to inferior to superior which come of return and providence. I must now look at the reason for applying to heavenly beings the title of rivers, wheels and chariots. The rivers of fire (Dn. 7:10, Ezek. 47:1) signify those divine channels which are forever dispensing their generous and unchecked flow and nourishing with their life-giving fruitfulnes. The chariots (2 Kgs. 2:11, 6:17, Ps. 104:3, Zec. 6:1-8) signify the fellowship binding together beings of the same order. As for the winged wheels (Ez. 1:15-21, 10:1-13, Dn. 7:9) which go ahead with neither twist nor swerve, these have to do with the power to keep right on along the staight road, directly and without wandering off, and all this because the wheel of their intelligence is guided in a way which ha nothing in of this world. 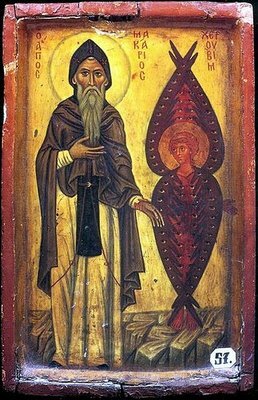 Filed Under: All, Angelic Hosts, Holy Fathers, St. Dionysius the Aeropagite ca. 5th cent.